Naples Bay and its contributing watershed have been dramatically altered by development over time. Associated with various water management projects, the watershed of Naples Bay has expanded from approximately 10 square miles in size to its current 160 square miles. Enhancing water quality for its residents, visitors, and neighbors is an important part of the City’s environmental stewardship. To this end, the City identified the need to investigate the ecological and environmental conditions at the Cove Pump Station outfall. Analysis of the existing conditions at the outfall identified significant sediment transport, a low functioning ecosystem, and impaired hydraulic conditions arising from the operation of the Cove Pump Station that serves Basin III (otherwise known as Naples Bay). The project team performed an in-depth analysis of stormwater Basin III, undertook City-wide planning initiatives and historical stormwater improvements to guide the design through conceptual and preliminary design stages for final City Council approval. Stakeholder involvement in the project was identified at the outset as a chief priority, with the project team holding a public information meeting to solicit feedback from potentially affected residents and environmental organizations such as The Conservancy of Southwest Florida. 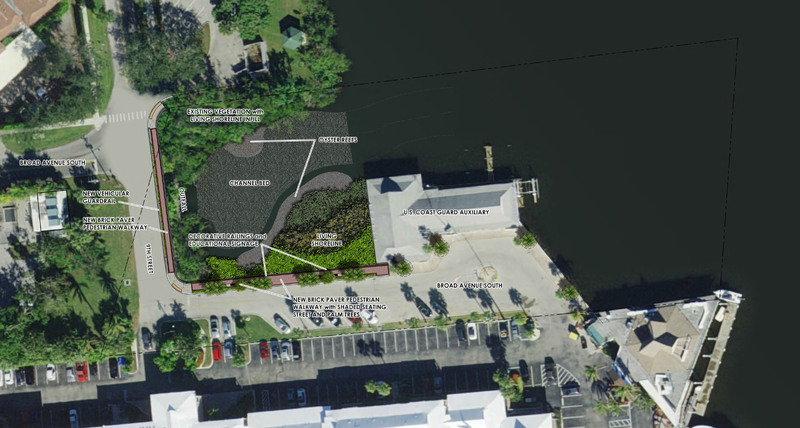 The project supports the 20-Year Naples Bay Restoration plan by incorporating water quality improvements with natural wetland restoration in the form of a “living shoreline” concept. To learn more about this award-winning project, please Click Here.